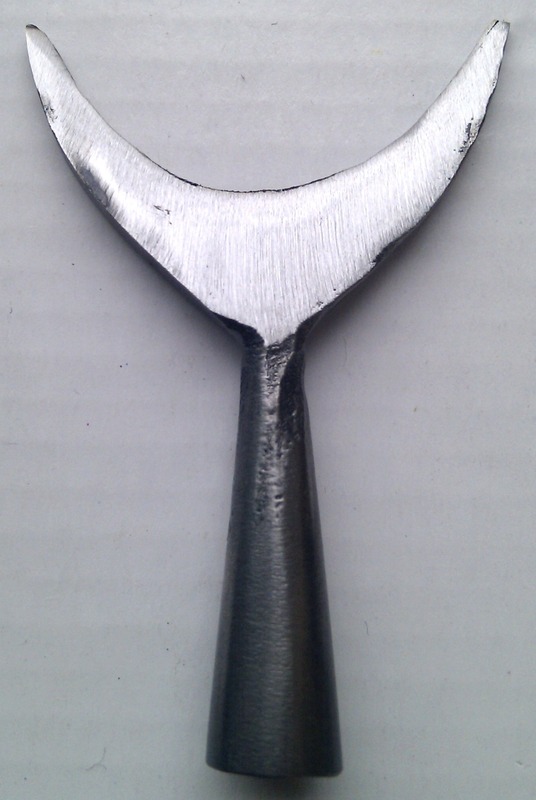 Hand forged arrow head by Hector Cole, `Type 6` , outside socket diameter 10mm or 3/8" approx, overall length 6cm approx, ALL SIZES/MEASUREMENTS ARE APPROX AND VARY AS THESE ITEMS ARE ALL INDIVIDUALLY HAND FORGED IN THE TRADITIONAL WAY. Ideal for Re-enactment displays etc. Sold in singles, choose how many you want in the check out.